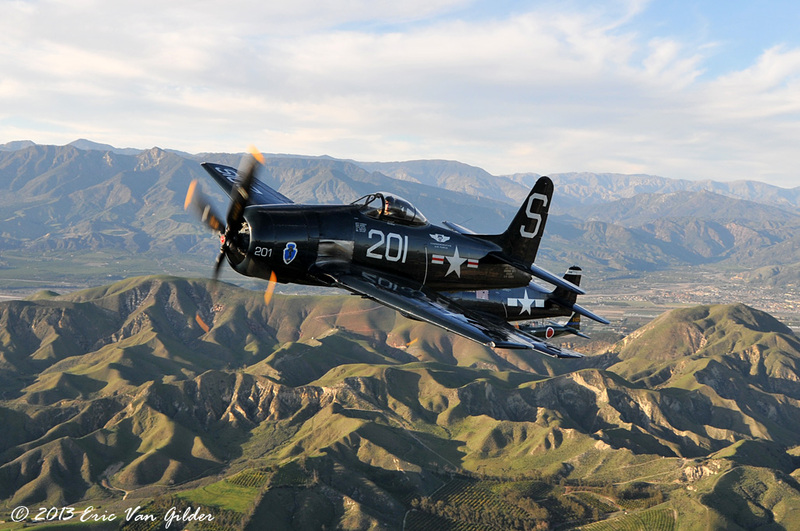 The CAF SoCal Wing is at the Camarillo Airport. 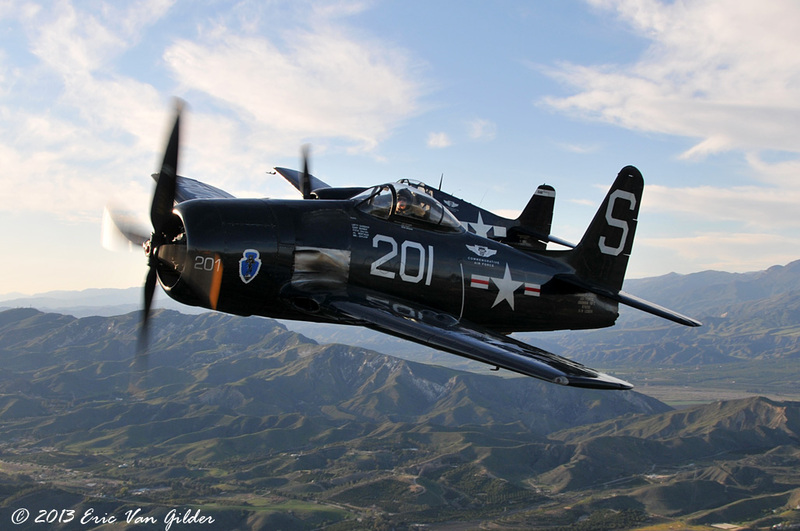 The wing is very active in the aviation community with a host of great vintage aircraft. 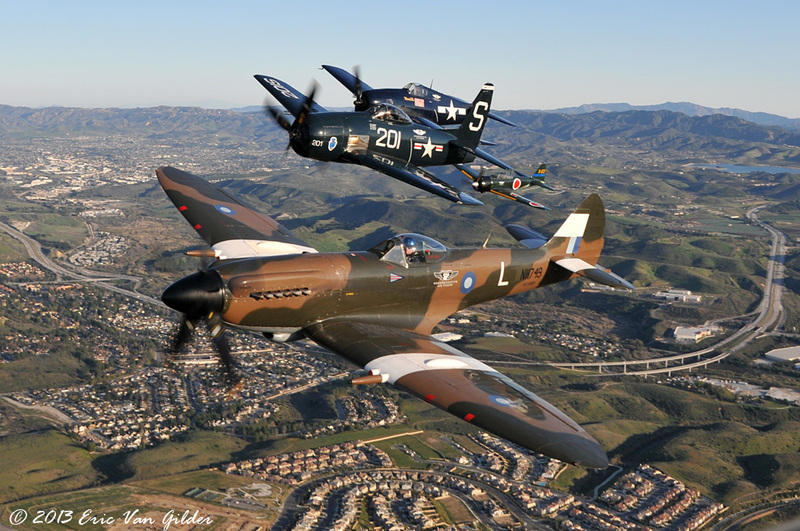 I went up with Jon Ingoldsby in the SNJ #290 to capture the fighters air-to-air. 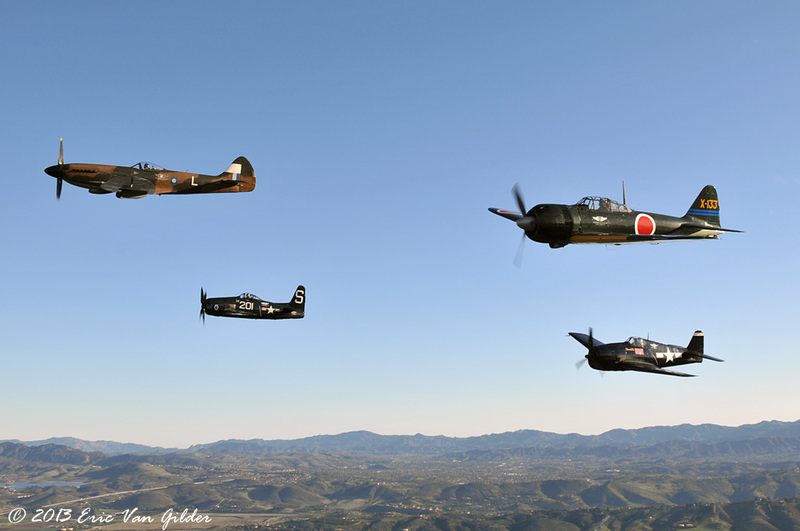 Steve Barber flew the Supermarine Spitfire Mk.XIV, Ken Gotschall flew the Grumman F8F Bearcat, Jason Somes flew the Grumman F6F Hellcat and Steve McCartney flew the Mitsubishi A6M3 Zero. It was something that was quite a sight to see. 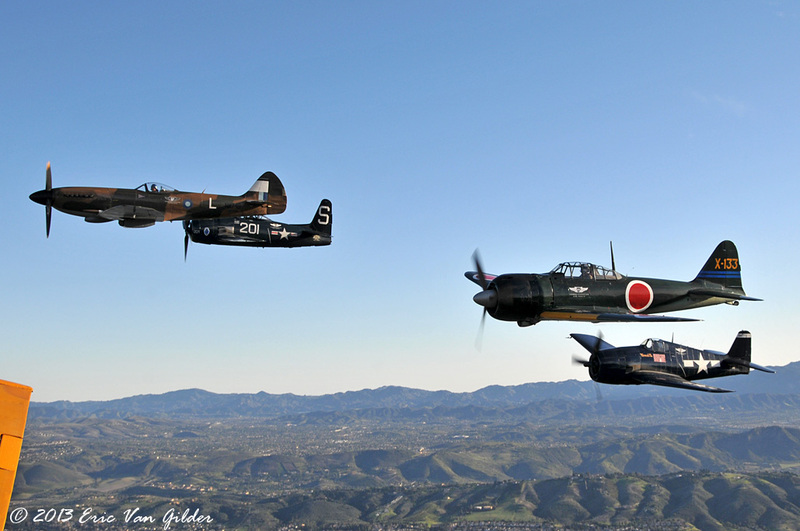 As we flew on a high power setting, the engine and wind noise were readily apparent, yet as we closed on the fighters, I could still hear the fighter engines! 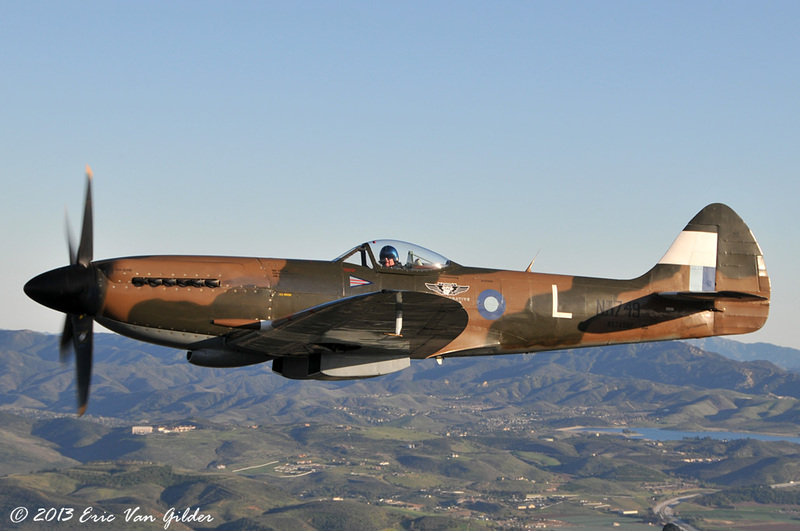 A huge thanks goes out to the pilots and the army of volunteers at the CAF who all work very hard to keep 'em flying. 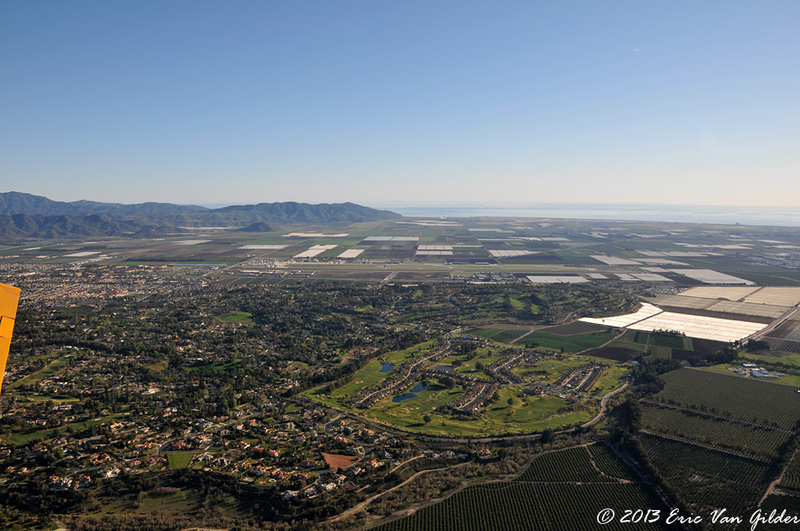 The Camarillo airport is in th ecenter of the photo above. The weather was perfect for a photo shoot. 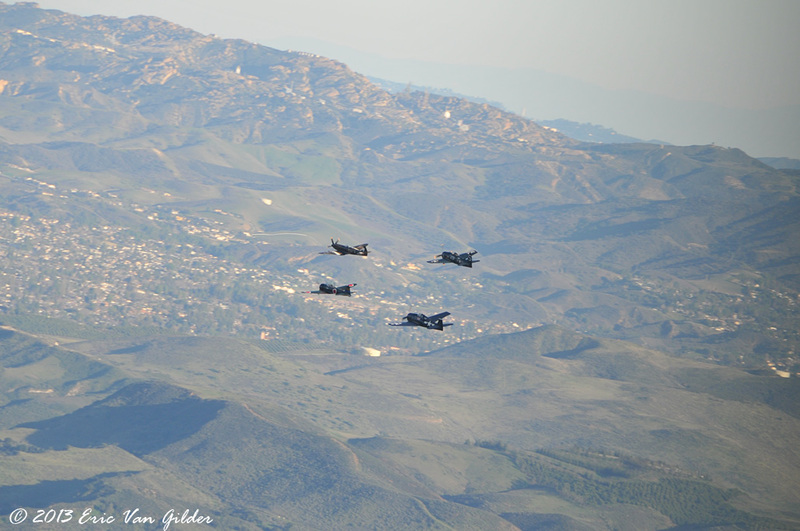 My first glance as the fighters passed by below. I have to admit at this moment, I got pretty excited to be in the air with this much history. Coming around for the join up. Reconfiguring from the diamond formation to the echelon. 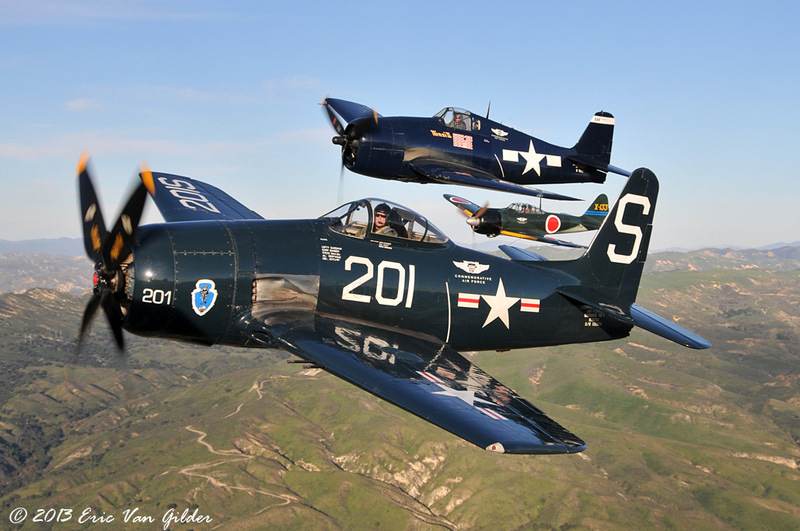 F8F Bearcat, F6F Hellcat and A6M3 Zero beautiful echelon formation. 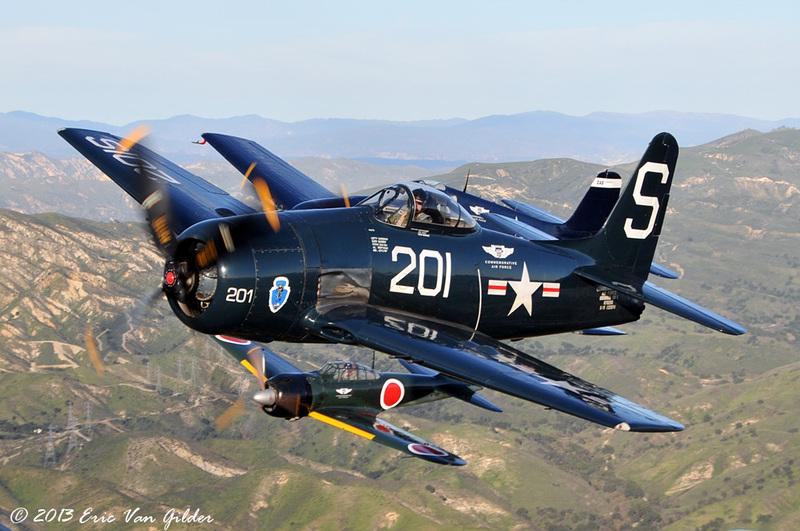 F8F Bearcat and F6F Hellcat. 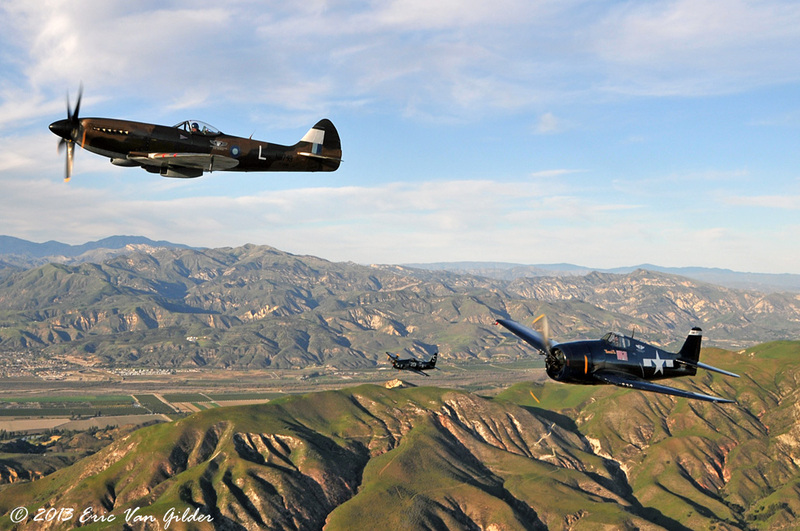 F8F Bearcat, F6F Hellcat and the A6M3 Zero in formation over Moorpark. 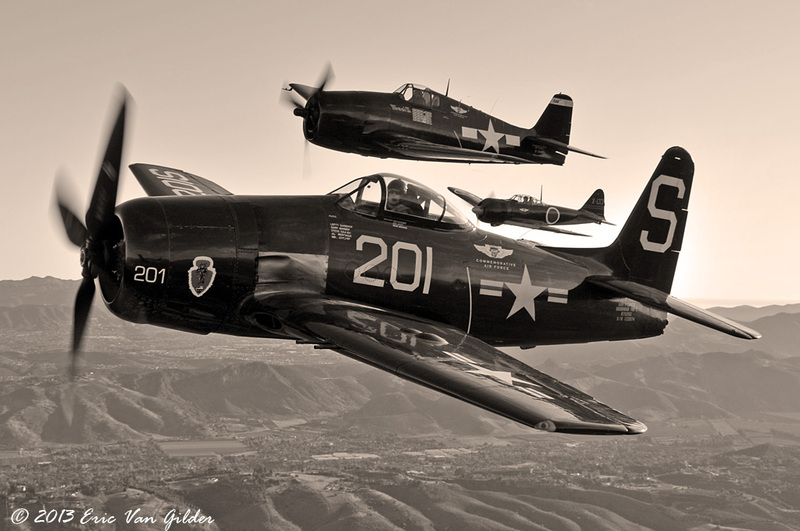 Vintage look at the F8F Bearcat, F6F Hellcat and the A6M3 Zero.